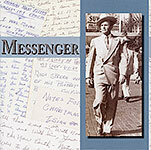 The "Message Companion" is a magnificent book printed in full color from cover to cover. 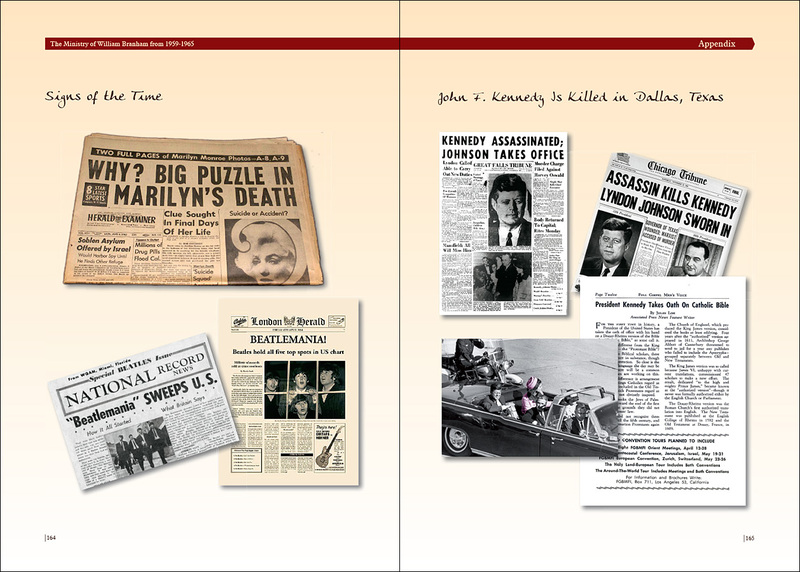 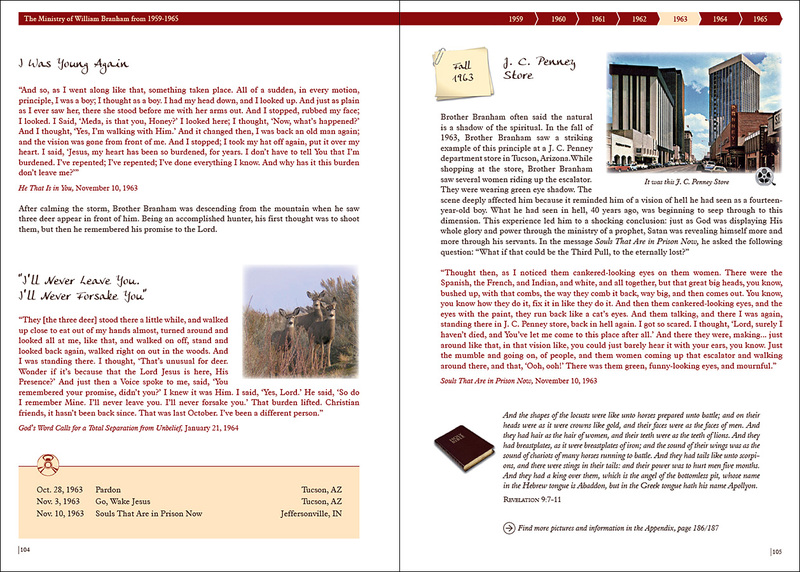 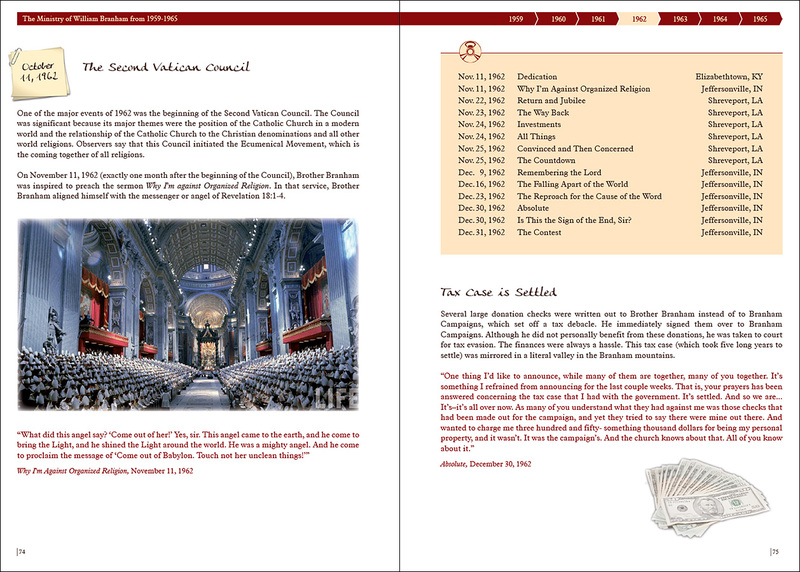 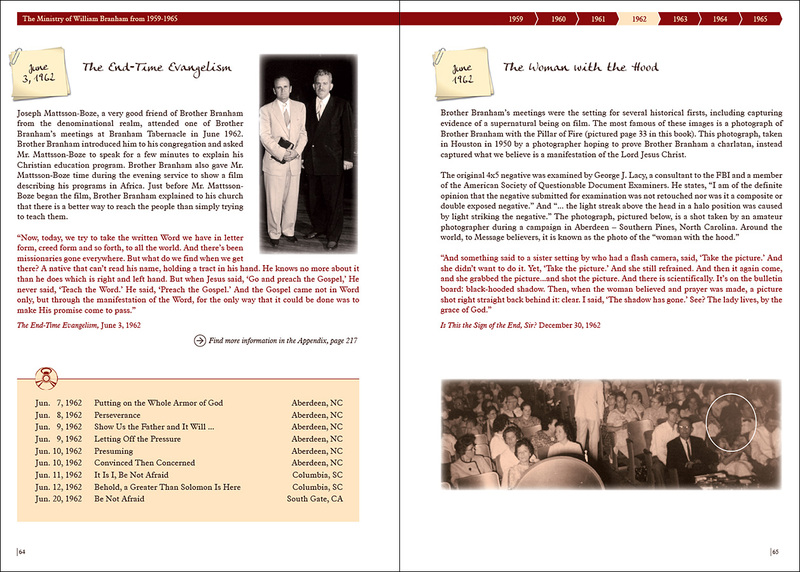 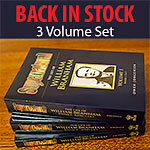 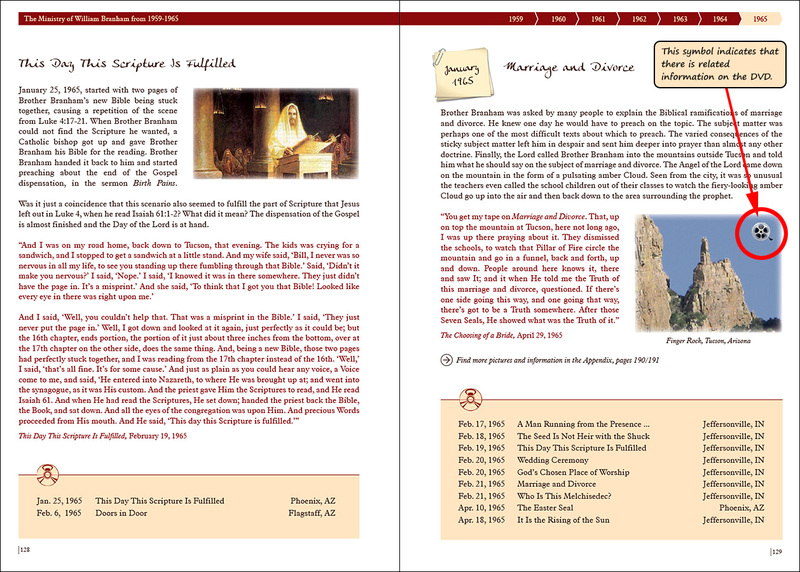 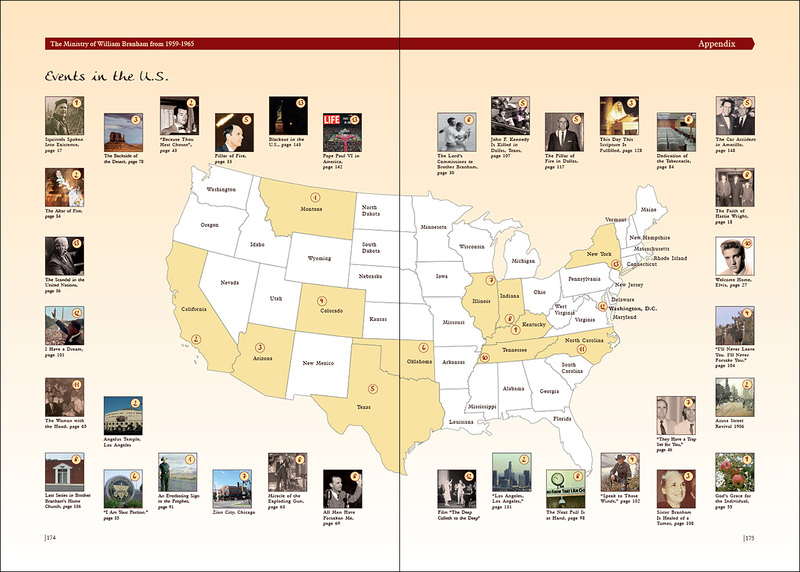 It comprises 220 pages illustrating the major world events that paralleled the changing ministry of Brother William Branham from 1959 until his death in 1965. 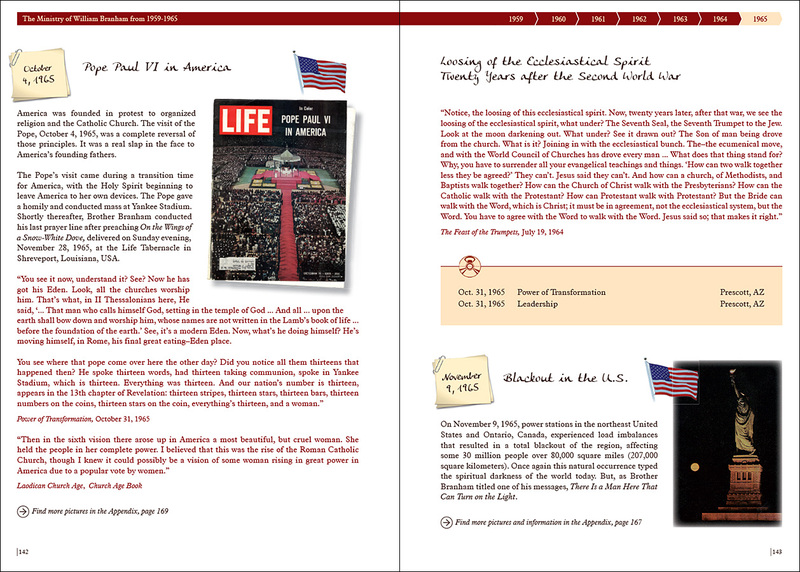 This extremely accessible book also includes a compilation of sermon titles, Bible verses, pictures, quotes and comments that will appeal to any believer from ages 8 to 108. 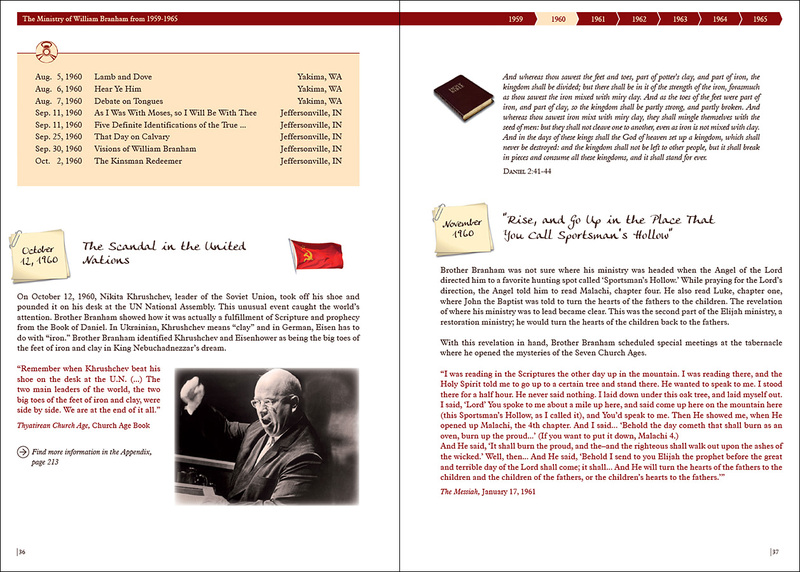 As an added bonus a supplementary DVD called the "Backside of the Desert" is also included, giving extra material including, pictures, film clips and interviews. 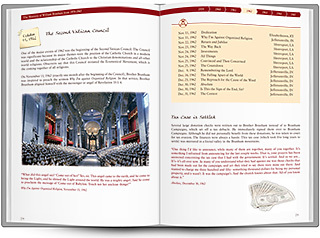 The book and film are the product of many thousands of hours of heartfelt effort by brothers and sisters from many assemblies on three continents.